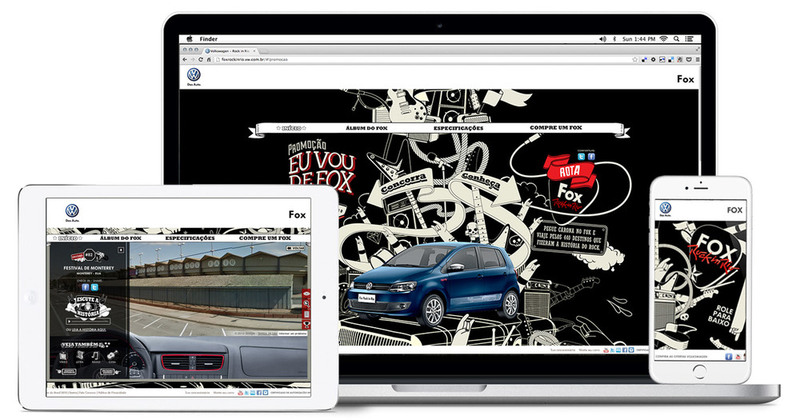 For the online launch of the new automatic version of amarok, we created an automatic site. just like in the pick-up, people could also choose their option of transmission. 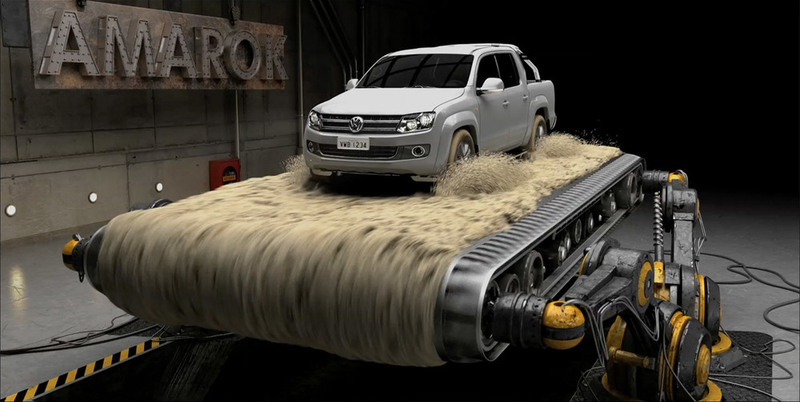 if the user chooses to browse in the automatic mode, amarok identifies the obstacles in the corner of the screen without the person having to use the mouse or the keyboard. the webcam scans the face and the navigation occurs automatically, only with the eyes. Role: Digital Creative Direction and Concept. We needed to show how Side Assist works, an innovation from Volkswagen’s cars.So we used YouTube's resources and technology, which are part of users' everyday life, in a simple and straightforward way to show the difference our innovations make in people's lives. To highlight that vw vehicles are all made with 100% original parts, we have placed banners on youtube videos that copied original, well-known songs. if one clicks on the banner, it would be taken to the original song’s video. To announce the New Fusca (the Brazilian New Beetle), AlmapBBDO created a YouTube action showing the benefits of the DSG Tiptronic transmission. In a differentiated way, the film uses the pre-roll format, commercials that are displayed before the video is watched. In the intervention, in the end of the 5 seconds of mandatory waiting time, the video clicks the "skip ad" button. The lettering explains: "New Beetle with DSG Tiptronic transmission. You don't shift gears. Neither does the commercial". Role: Digital Creative Direction, Concept and Head of Art. Volkswagen: The legend of the Saci. Saci is a one-legged prankster who wears a magical red cap that enables him to disappear and reappear wherever he wishes (usually in the middle of a dust devil). Volkswagen: The legend of the headless mule. “Headless Mule” is the ghost of a woman who was condemned to turn into a fire-spewing headless mule, galloping through the countryside from Thursday’s sundown to Friday’s sunrise. Volkswagen Space Cross book app: The legend of Saci. The app is an interactive book that tells the story of the most famous folk-tales of the brazilian folklore narrated by Joao Gordo, the leader of the biggest punk rock band in the country. saci is known for playing tricks on people. he shows up everywhere in brazil and has a different name in different parts of the country. Role: creative direction, concept, idea and design. Visit the 440 places that made the history of rock. And to promote the car, the brand invited users to take a virtual tour of the 440 destinations that made rock ’n’ roll history. Through a partnership with Google, we created a website based on Google Street View that provides Brazilian music fans with an immersive experience. Role: Digital Creative Direction, Concept, Idea and Head of Art.